Whether you’re a pro-athlete or a casual Sunday jogger, it’s very important to any runner that you get the right sort of shoe. Having the right sort of shoe accompany you on your adventures can make the world of difference in comfort and performance. For example, someone who runs track or treadmill will need a different sort of running shoe to those running long distances or trail based runs. 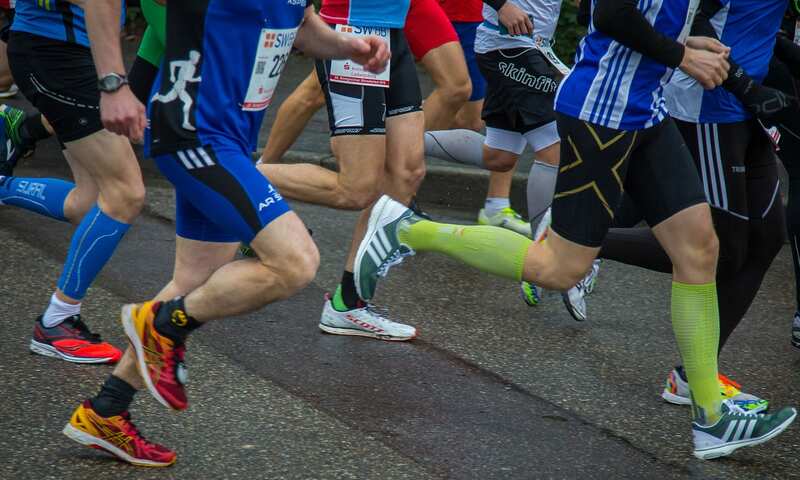 Some people also need different support in different parts of their feet, those who have overpronation will need different running shoes to those with normal pronation, as well as those with underponation requiring special shoes for underpronation. Luckily, the running shoe market does cater for everyone making sure every inch of your foot is fully supported so you can be the best at what you do! View the Best Running Shoes, Below. How to lace Running Shoes? We’ve scoured the running shoe market for all their best men’s running footwear and women’s running trainers to provide you with this handy guide to help best your personal best. 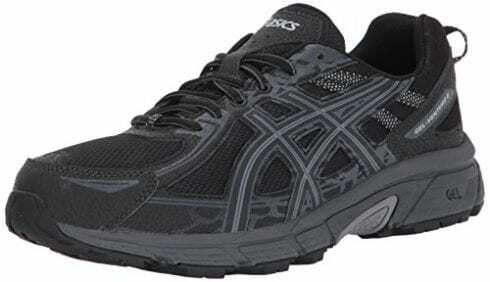 The ASICS Men's Gel-Venture 6 is a great classic running shoe built for every runner's need. They’re a classic solid looking running shoe, made of synthetic material, a rubber sole and feature shaft measures from the arch to the low-top of the shoe. Your foot will feel comfortable and supported thanks to the GEL cushioning system under the sole which is great for alleviating the impact your foot will get as it hits the ground. This is especially important if you’re going between terrains and mid-distance runs. The ASICS Men's Gel-Venture also features a removable sock liner, this is useful if you need to place a medical orthotic liner inside the sole instead. 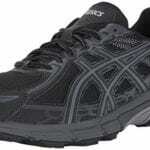 We loved the GEL cushioning system which is situated in the rear foot or the shoe. Perfect for minimizing impact! 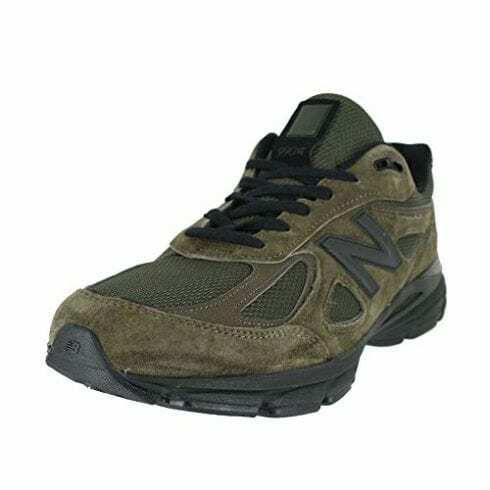 The New Balance Men’s 990v4 running shoes are great breathable and cushioning runners. Thanks to the blend of 100% leather and textile and USA’s craftsmanship these trainers provide the perfect support you’ll need when running. Not only do they look like a classic, stylish New Balance, but these shoes also feature sections of breathable-mesh in between the leather which is great for letting you foot breath during those tough running sessions. And thanks to the ENCAP technology which features an EVA core in the heel you’ll be guaranteed protection throughout your training. The look! It’s often so hard to find really quality looking running shoes that still perform as well as the uglier ones, and with this pair, we found the (New) Balance! 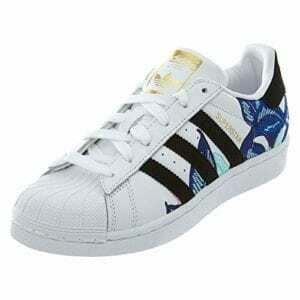 The Adidas Originals Women’s Superstar Shoes are great for a stylish, retro, laidback workout look. Comfortable and sturdy thanks to the class white leather exterior - which is handy for cleaning! Alongside this, you’ll find the classic Adidas three stripes which look ascetically great, but next to these you’ll also find mesh lining which allows your feet to comfortably breath while you’re working hard! Inside you’ll find a nice cushioned ankle support and a removable insole, this can easily be removed for washing and also if you need to change the insole for any form of padding to suit your feet’s needs. With its classic three-stripe colored lines down each side the Adidas Superstar screams a retro ‘80s look that we are so on board with! 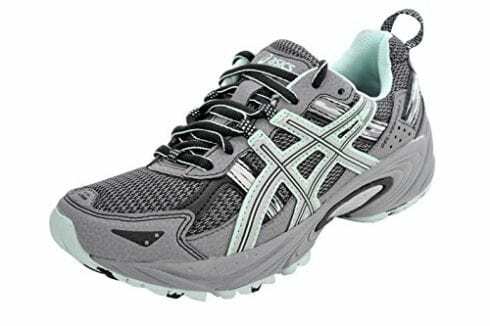 The ASICS Women’s GEL-Venture 5 is great for the serious runners, and you tell in this from the shoes great sporting design that they mean business. On the outside of the Venture 5, you’ll find the classic ASICS 100% synthetic material and paneling of neutral mesh to help your foot breathe. Underneath there is an ASICS high abrasion rubber sole which makes it great for multi-surface traction, this is great if you’re a long-distance cross-country runner or plan on running across terrains which will vary. Inside the shoe you’ll find a removable foam sock liner, this is handy if you need to change it for any medical reasons. But we found the foam sock liner more than suitable at comforting your feet. There is also the renowned GEL Cushioning System under the insole which we always find is great for protecting you during those long-distance runs. These running shoes are great for working out, they support your foot properly thanks to its foam insole and gel cushioning system. 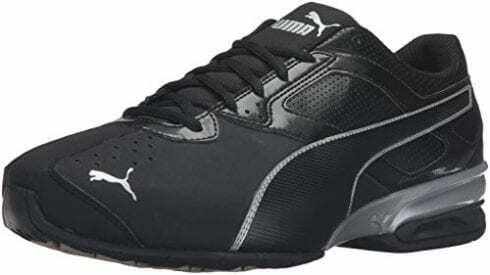 The Puma Men’s Tazon 6 are a great pair of shoes which provide both a fashionable modern look while also still functioning as proper workout shoes. You won’t have to compromise on fashion over practicality ever again with these! These PUMA’s look great and are made from synthetic material with a leather look and feature a rubber sole underneath. These shoes really know how to blend a comfortable design for your feet with their shaft measures low-top from the arch, alongside a tough protective exterior. We love how effortlessly classy and classic these look, grab your gym git and chuck these PUMA’s on because you feel raring to go in these bad boys. 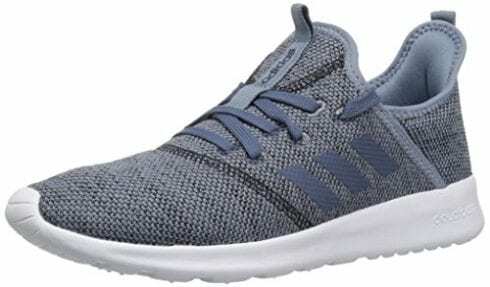 The Adidas women’s Cloudfoam Pure , are (as they’re aptly named) a pure dream to walk in. When you step your feet into these shoes, you definitely feel like you’re working on foam made of clouds. But this isn’t the only great thing about the Cloudfoam Pure’s. 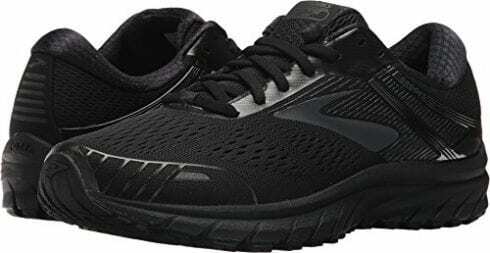 These shoes are great for working out however you want because of the entirely textile mesh upper material which allows your foot to constantly breathe. Between the soft upper exterior, cloudfoam bottoms the lining is also made from a molding sock liner which just adds that additional comfort to your during your workout. We absolutely adore the cloudfoam Adidas technology between the insole and the sole. Every step we take in these shoes we are in heaven! These Under Armer Men’s Micro G’s feel amazing on your feet and they protect and support your foot properly while working out. What’s not to love? The textile and synthetic material create a lightweight and moveable fabric upper which is great for allowing your feet to breath. Don’t worry about them being too flexible though! 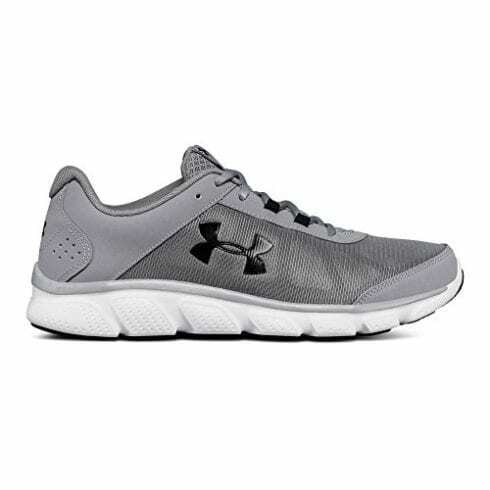 These Under Armour ’s also feature durable leather over the top and in the middle of your foot this helps to enhance your performance by locking your foot in place. The sole is made of synthetic materials but features a solid rubber coating with is perfect for helping absorb some of the shocks from your foot as you hit the ground running. Our favorite feature of these Under Armours is the Micro G foam midsole which provides the best comfort we’ve seen in any shoe. The Brooks Men's Adrenaline is a serious running trainer will ample sturdy support and a streamlined look. Your performance will improve dramatically in these shoes thanks to their synthetic mesh upper fabric and cushioning underneath. What’s especially about these runners is that they are perfect for overpronationed feet. 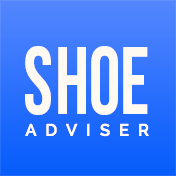 People who overpronate usually end up applying more pressure to their shoes and will wear them down quicker. These shoes are great for overpronationed feet thanks to a mixture of their sturdy support and also their special arch design. So there you have it - you’ve got no excuse to slip these on and run around in comfort! If you have overpronation in your feet, these shoes are the best for being able to give you the proper support you need. The NIKE Men’s Revolution 4 is one of those classic must-haves for your wardrobe when it comes to running shoes. Featuring a sharp, modern and minimal design with a black mesh upper and the famous white tick over the top. 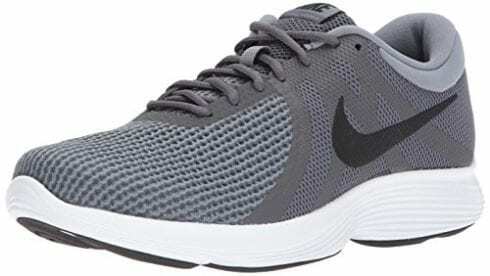 These Nike’s are great lightweight runners that will help your feet breathe while you work out. Inside the trainer, you’ll find a heavenly soft foam layer which will comfort your foot from any impact your shoe. We just love the classic look of a Nike running shoe that gives you a go-to relaxed look every-time - where ever you're about to go work out. 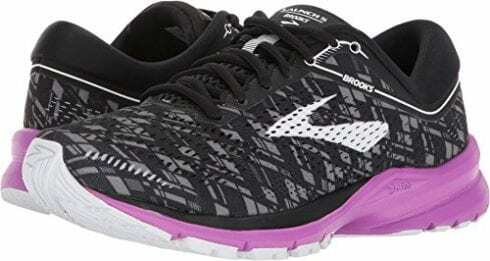 The Brooks Women's Launch 5 is great for any serious runner, and you can feel this with every step you take, every time you hit the ground running in these shoes you can feel the power. Built with a single piece of mesh fabric around the upper body but with an internal bootie means that you’ll get all the benefits of a breathable shoe and a secure fit! The Brooks 5 also comes with the gravity-defying cushioning meaning you’ll be able to run on any surface. This means you’ll still be protected and ready for any adventure you want - where ever your feet may roam. Bonus tip - we also found out these we great for those with wider feet. Our favorite feature when it comes to these women’s Brooks has to be how unbelievably secure they are which is great for any long distance runner. We’ve presented to you what we think are the best running shoes out there, but now comes the hard part. You now need to select which is the right running shoe for you. Very often people do not treat their feet with the right love and care that they need. At the end of the day, your feet are very important for getting you out and about, and if you don’t look after them, your health can suffer. We are constantly using our feet, and they carry the whole weight of our body, if we are not walking properly on our feet, the repeated stress of our weight can damage us over time. Some of the most common foot problems from ill-fitting shoes are corns, calluses, bunions, and ingrown toenails. Wearing footwear that’s safe and appropriate for the job in hand, in this case running will prevent such problems from occurring. Shoes are such a personal thing it can be hard to know what’s will fit your foot properly and help you in your sporting performance. This is why we’ve decided to talk about running shoes a little bit more in two different categories so you can explore the different options and see where your best fit shoe is! We’re going to be discussing the fit of the shoe and what type of sport you will be using them for, both of these factors really shape what you will need to get. It pretty much goes without saying that the fit is important with any shoe. But this is incredibly important when it comes to running shoes as there is another factor to consider. A proper fitting running shoe based on your pronation. In case you didn’t already know pronation is the natural motion of the foot when you walk and depending on whether or not you have a normal or over pronounced walk depends on what sort of shoes you need to buy. You will put your self at high risk of injury if the shoe gives you too much or not enough foot rotation. Here’s a handy guide to pronation and your shoe type. If you have neutral pronation you foot will roll slightly inwards and then overpronation is when your foot rolls inward excessively. You can also lie somewhere in-between the two and have moderate pronation. Once you know what sort of pronation you have, you can select your shoe type. Those with a neutral to moderate pronation should look at the lighter weight running shoes as they do not need as much of solid support. And then, on the other hand, those with overpronation need a lot more support to counteract how much their foot moves in their shoe. It is very important you make sure you’ve got the right fitting shoe, not just to help your running but to make sure you do not damage your feet. And damaged feet can lead to a whole host of other health problems. People have different sporting habits, and even in running, there are different types of runner. From your 5 days a week trailblazer to you casual Sunday jogger, your track sprinter and everything in between. Once you’ve found the running shoe with a proper fit, you also need to consider if it the right sort of running shoe for the activity you want it to do. For instance, lightweight running trainers such as Nike’s and Adidas aren’t that suited for the cross-country long-distance trailblazers. The lightweight, soft mesh and foam bottoms of these runners lend themselves more to gentle runners or joggers who probably won’t run that long or often. This isn’t a bad thing as they’ll be perfect the gentle runners giving you ample cushioning for the flat roads or sidewalks you’ll be running on. 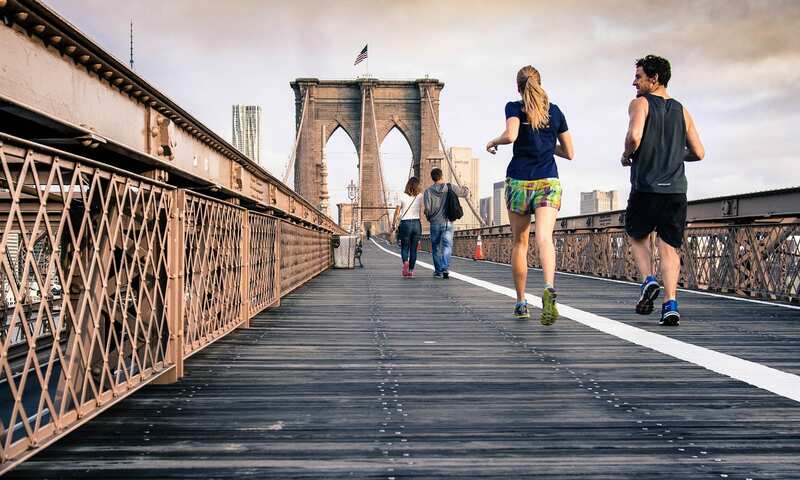 If you are more a cross-country runner, we would advise you look at something more like the ASICS or Brooks as these often come with a lot more support, especially around your midfoot. 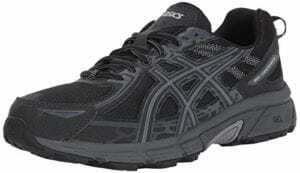 And what’s even more important about running trainers like these, in particularly the ASICS, they have GEL cushioned soles which are great for protecting your feet against the heavy impact your foot will face going between different surfaces. It’s hard to know sometime how well a shoe should fit. A running shoe should fit snug between your heel to midfoot but still allow your toes to wiggle at the front. If you’re still struggling to work out what running shoe fits you, you should always go half a size or a full size up as your foot expands when it hits the ground. When trying on your shoes before you by them, experts recommend trying them on midday when you’ve been on your feet more, and your feet tend to swell when you run. You should also check that there is a thumbnail width between the end of your longest toe and the tip of the shoe. You can also check how well your shoes fit based on the laces, if they’re too close together, they’re too big, and if they’re too far apart, they’re too small. On average experts estimated that your running shoes should last 400- 600 miles. There is no set time though as it will all depend on how often you use them, your body weight and foot type. If you’re feeling like they’re no longer supporting you as much as they should then it is probably best to buy a new pair. Better to be safe than sorry – especially when it comes to your foot health! Make sure you buy the best running shoes you can afford. This may sound very obvious, and you may think you learned how to tie your laces back in elementary school. But the truth is many runners don’t know how they tie their shoes can customize the fit of their shoes. If your feet are slipping around in your shoe, you can try the runner’s loop. For this fit, you can tie the shoe up normally and then on the last loop thread the lace backward creating a loop and then tie it to the opposite side of shoe in-between the loops. This will help tighten up your show at the heel. If the shoe feels too tight in the middle of your foot, you can tie them in a parallel lace style which will take the pressure of your foot. To do this remove the lace and re-tie by running the thread through two eyelets on one side and two on the other but then skip the next eyelet and continue repeating. These are just some of the ways you can use lacing shoes to help your performance shoe fit. You should never place your shoes into the dryer as this will break your shoes! The intensive heat will end up melting the midsole… WHOOPS! Nike shoes got their name from the Greek goddess of victory and the correct way to say Adidas is Ah-Dee-Dass. We hope you enjoyed our article on "10 Best Running Shoes in 2019", if so, please share and rate it.